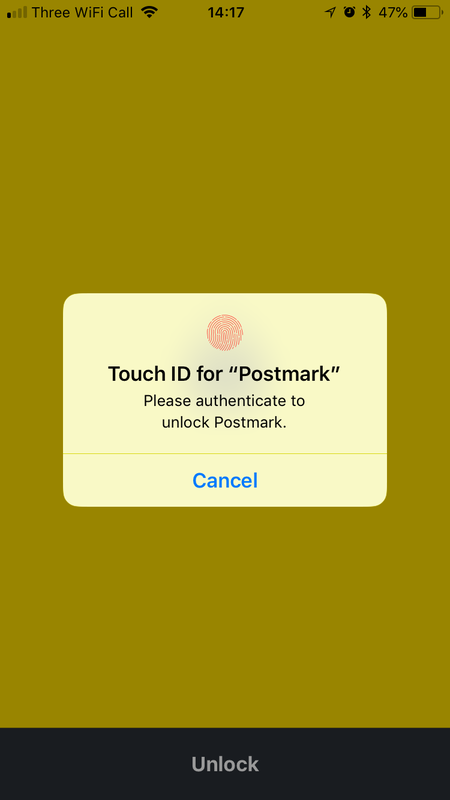 The Postmark iOS app supports using both Touch ID and Face ID for securing the app depending on what is available on your device. If you activate Touch/Face ID on one device, it will automatically be enabled on all devices connected to your iCloud account. 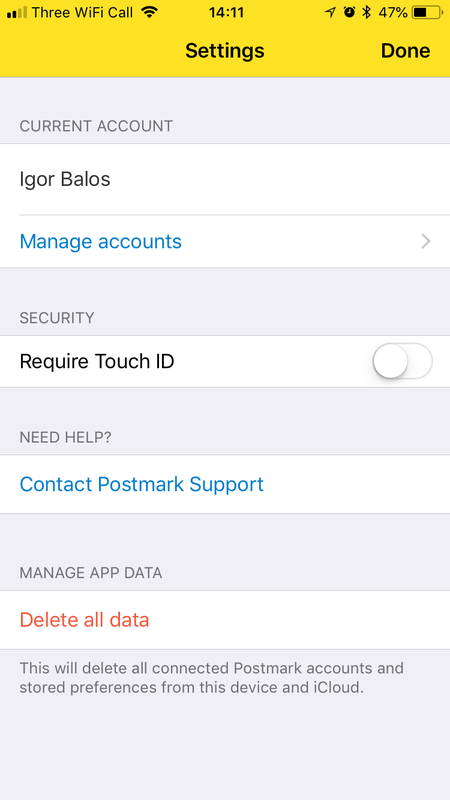 If a device does not support Touch or Face ID, the device passcode will be requested instead to access the app. Start by opening the settings screen. If you device supports Touch ID or Face ID, a toggle we be shown to enable the feature. 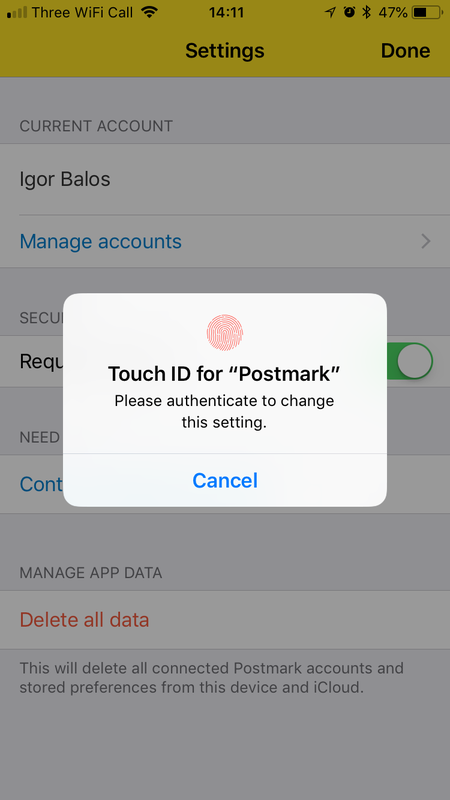 You will need to authenticate with you face/finger before the setting is enabled. To disable authentication, open settings and slide the toggle to off. Again, you will need to authenticate before the feature is disabled.